Get your Modern Monogram collection started with our Monogrammed Bracelet. With over 50 color combinations in either gold or silver, it will be hard to choose just one. Perfect for stacking with your watch and our other fun bracelets. 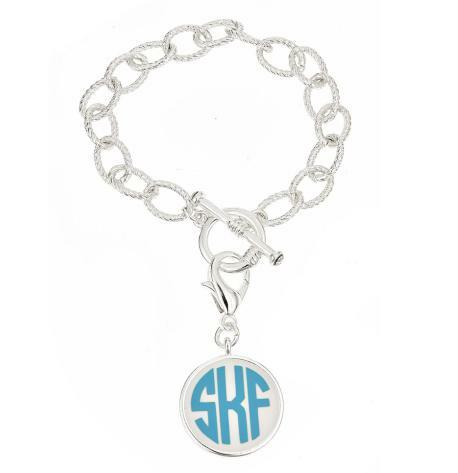 Fits most wrists with 6.5 inch long bracelet and with a 1 inch charm that holds your monogram or one letter. Makes a nice teachers gift or for that special person who has everything! Price: $52.00 In stock! - Browse this brand: FornashOur products are custom made to your specifications. This product ships up to 2 weeks after your order is placed.